APS is offering a free year of ICG membership ($150 value) to anyone purchasing their shaft profiling machine. Price is $899 (Auditor must be supplied by purchaser) plus shipping. See the APS in action with inventor Roy Kaltz and ICG Hall of Fame member Jerry Hoefling, Sr. here. Tour Edge/Exotics Golf will have an exclusive special for their European clients. Stop by W209B to learn more. International Clubmakers Guild. 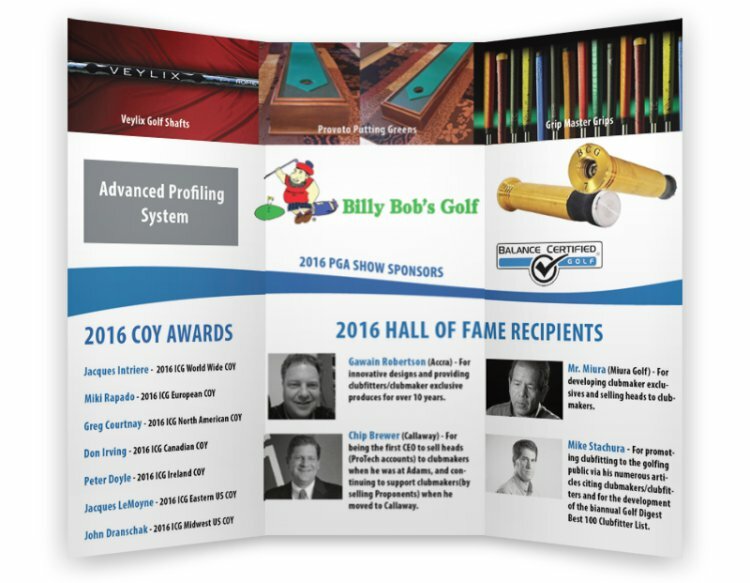 Annual member dues are increasing this month to $150, but we are offering a super value laden deal during the PGA Show. New members and non-certified members will be able to extend their membership another year, take both certification exams (during calendar year 2016), and apply for our new ICG Best Member List (more on this later) for $295 (package value is $700). Certified members will get one year membership extension, one certification exam, and application for ICG Best Member List for $195 (package value ranges from $300 to $500 depending on your certification level). Purchase links will soon be available on your member landing page. 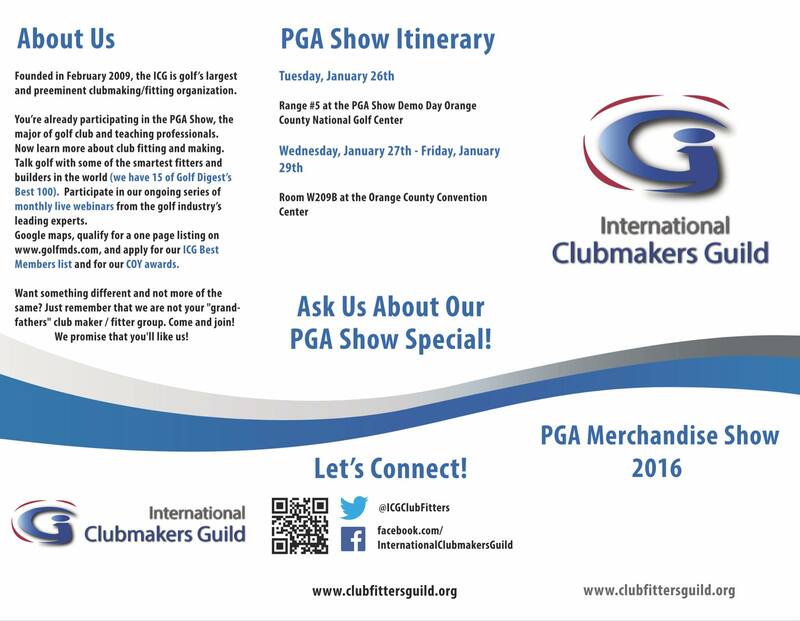 This ICG PGA Show Special expires on February, 2016. Bettinardi Golf will be presenting at the PGA Show in Orlando this year at booth #3501. Please stop by the booth to meet both Bob and Sam Bettinardi, see the latest product offering from Bettinardi Golf, in addition learn how to use the latest trend in putters made famous by Matt Kuchar, the arm lock putter! Global Golf Sales offers ICG members the low grip pricing and next day shipping starting at $11.25, and 2nd day shipping starting at $5.25. Thanks to ICG member Alvaro Perez on his incredible brochure design. Ground efforts by our volunteers will be coordinated by Ray Tomaszewski, Jerry Howard, and Jacques Intriere. Look for emails covering your roles soon. There's still time for other members to volunteer here. ICG members Bill Marshall and Jerry Howard are organizing an ICG Florida Chapter. Florida members will be notified via email of the initial chapter formation meeting/lunch at the Show. The ICG is excited to announce that we are the exclusive clubmaking/clubfitting partner of www.golfMDs.com . 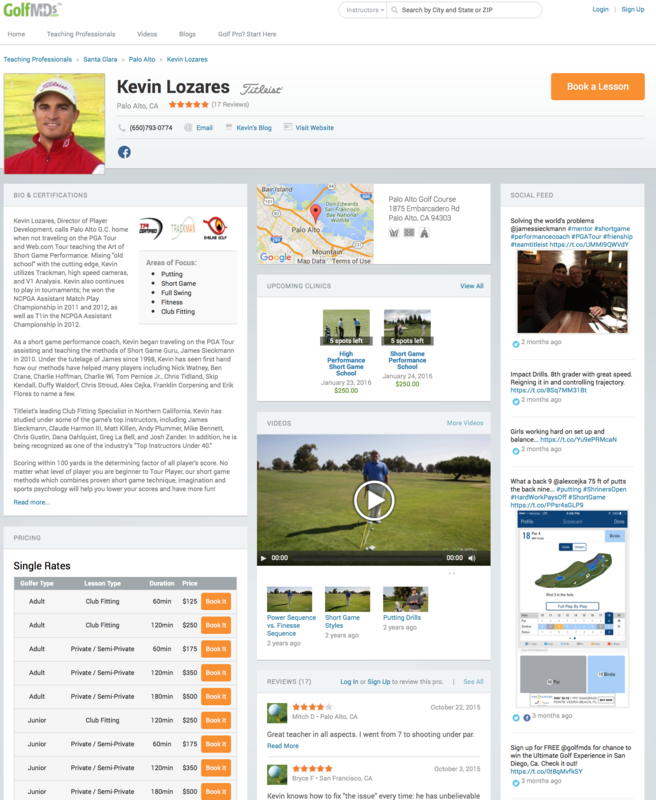 GolfMDs is building the golf improvement search engine for golfers looking to improve their golf games by partnering with top teaching professionals, trainers, health professionals, and now the ICG. They'll be looking for expert content from our qualified members. We've just sent them a list of our sponsors and certified members. ICG members who qualify for the list will have their own frree GolfMDs page with news, web site link, videos (has to be sent to GolfMDs to be posted). 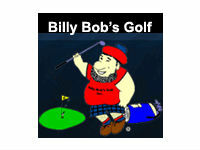 GolfMDs also offers our qualified members a premium membership for $350/year. Premium membership benefits include online appointment bookings (including collecting fitting fees ahead of the appointment), as well as annual on site professional production of 2 minutes of video. Below is a screen shot example of what will be available to our qualified members. The ICG will be debuting our IGC Member Best List at the Show as a way to promote our more active members. The application for the list will be very similar to our COY online application. So points will be earned for sales, brands carried, Certifications, recognition such as being on the Golf Digest list, volunteer efforts for the guild, teaching credentials and so on. $150 to submit an application. Funds collected will be directly used for marketing dollars to promote our best list. If an applicant does not make the list, he can reapply the following year at no charge. Successful applicants will have to reapply and pay each following year. Again, this is a program designed to raise awareness of the ICG with the golf media and to to market our most active members and to help increase their business. 2. ICG COY and HOF Awards. ICG 2015 Worldwide COY Eric Ng and ICG member Atiq Adris were interviewed The Golf Channel (Thailand). Watch the in depth interviews here covering their enhancements to their fitting process. Our Swap Shop forums have been very active lately with great offerings as our members prepare for the upcoming season. Enjoy significant savings while upgrading your own shop. Look for our ICG PGA Show Report Clubfitter Digest in about 5 weeks.